What’s Wrong With Ordinary Maps? In the UK, we’re incredibly lucky to have the Ordnance Survey. The maps produced are well known for their accuracy, usability and usefulness for planning new adventures. 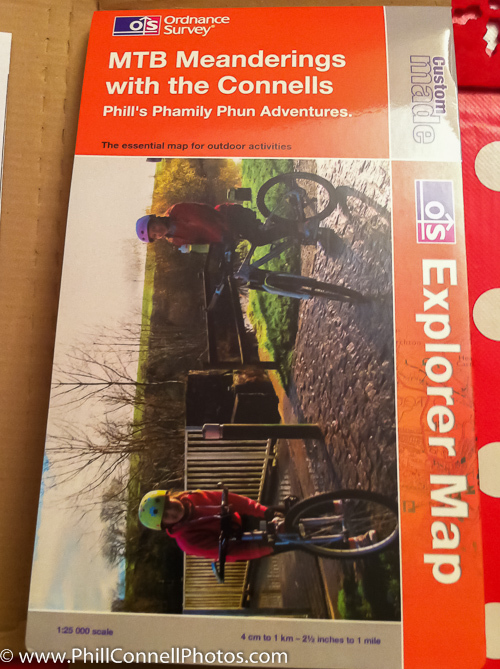 Walkers, cyclists, MTBers and adventurers of all kinds have been using OS Landranger and Explorer maps for years. 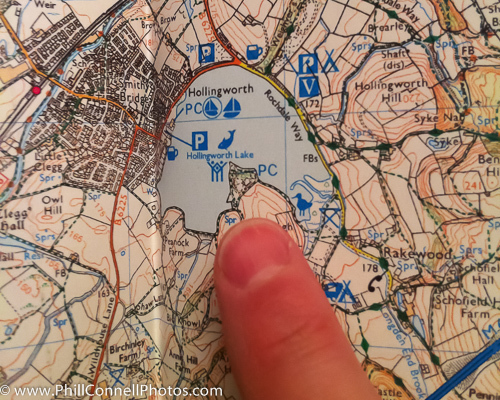 So, there’s nothing wrong with ordinary OS maps. that’s agreed. What OS have done, though, is genius. They’ve introduced the ability for you and me to personalise Explorer (1:25,000 scale, so 4cm equals 1km) or Landranger (1:50,000 – 2cm equals 1km) maps. So the map you get is exactly the map you want – for you or for your favourite outdoorsy person. The process is incredibly simple. You just visit the Ordnance Survey’s ‘Custom Made Maps’ page and follow some simple instructions. – You pick where you would like the centre of your map to be – I picked home, but you might choose your favourite spot for starting your rides. For my sister, I picked her holiday cottage, for example. – Next, choose your scale. This will be determined by how much detail you need or how much land you’d like to be able to see. It’s your choice! – Now the fun bit. You pick your own Title, Subtitle and a little line of text. Obviously I wrote hilarious puns for my favourite people. AND you get to upload a cover picture! For me, this was the most fun part. Choose carefully as it’ll be on your map forever, and hopefully looked at on every great trip you (or your gift recipient) set out on! 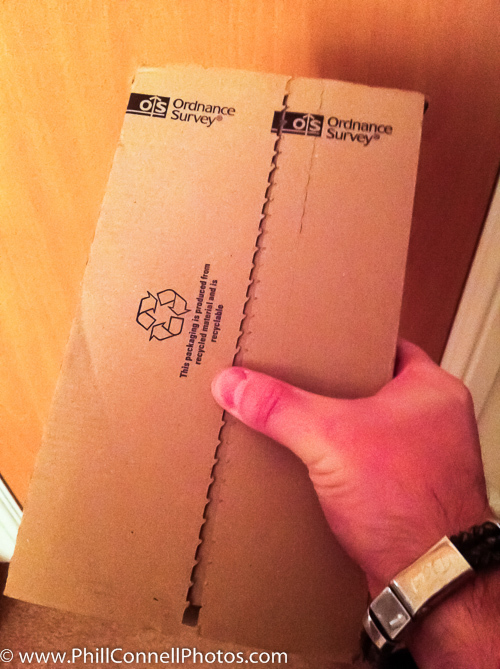 Your package: Letter box friendly. So, Are They Any Good? To be perfectly honest, I can’t understand why this wasn’t done sooner! I absolutely love my own map and I’ve bought them as presents for quite a few people already. 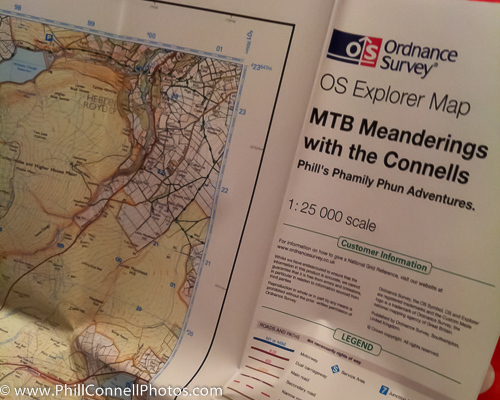 For personal use, they’re brilliant and a cut above a bog-standard (but still awesome) OS Map. You need to buy one. I can also see how businesses should get them made up – imagine your favourite MTB or mountain guide having their very own maps – amazing! Yes, they’re very, very good indeed. Buy (at least) one. Or get someone else to buy one for you. What a great idea Phill. I love it. Personalisation is an ace idea.